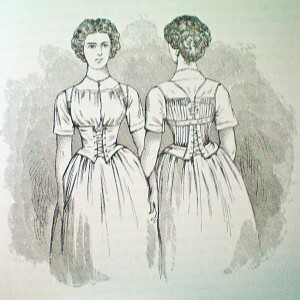 An unabridged reprint of The Corset and the Crinoline: A Book of Modes and Costumes from Remote Periods to the Present Time, originally published in 1868. This book is a wonderful example of costume history through the eyes of the Victorians. It analyzes the development of corsets and crinolines, going back to pre-history, then proceeding through ancient Greek and Roman times, and right up to the “modern” era of the late 1860s. The book is quite comprehensive, as it covers not only European styles, but those of South America, the Middle East, Asia, and various island tribes. The book is liberal with its sources, quoting left and right from ancient texts, diaries of world travelers, and various forms of literature and poetry. Hearing popular opinions of the time helps to give an accurate picture of the history of undergarments that mold or alter the body’s shape. I really admire the illustrations, which appear to be old-fashioned sketches or woodcuts. There are not many of them, but they are quite lovely. 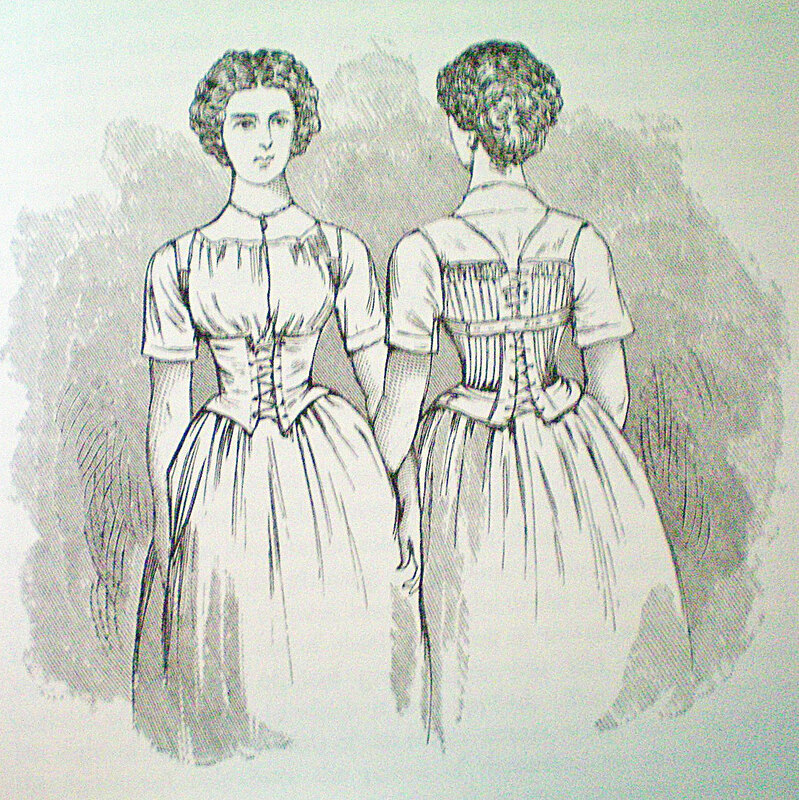 Most especially, I appreciate that this book extolls the virtues of the corset and attempts to debunk the ubiquitous myth that lacing oneself into a corset is to invite all manner of ills and afflictions. It quotes from letters sent in to contemporary magazines from educated people—even doctors—who support the wearing of corsets. I think it does an admirable job of setting the record straight, and it even has a few interesting anecdotes of girls in boarding schools who had to undergo corset training. These training sessions weren’t always pleasant for the girls involved, unfortunately, but it does present a fascinating picture of mid-Victorian attitudes. As this is a period book, the text can get a bit dense at times. This is simply how they wrote back in the 19th century and is no reflection on the author, but it can be wearying. 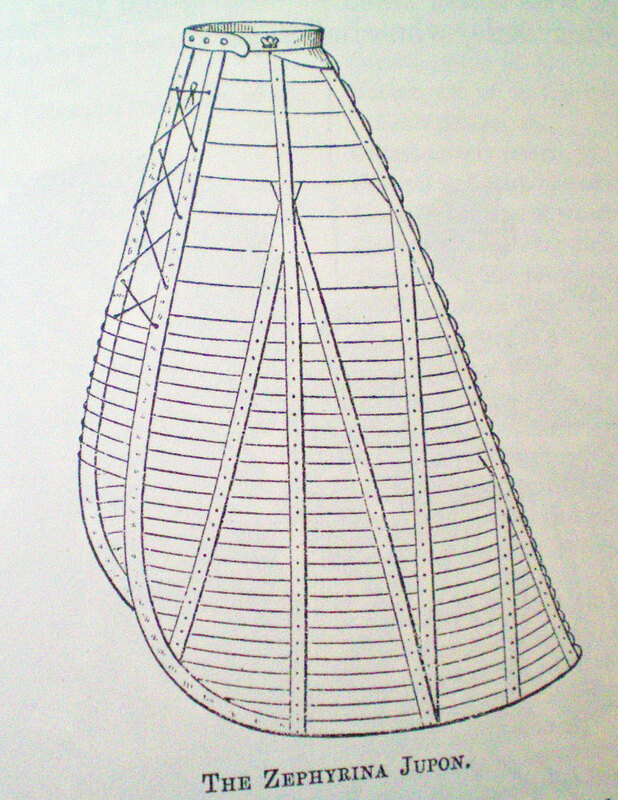 Also, for a book titled “An Illustrated History” the book is surprisingly lacking in illustrations. The few included are fascinating, but they are inconsistent. 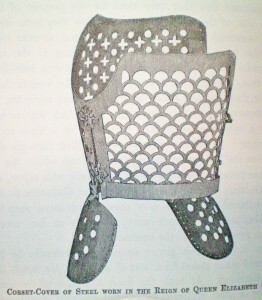 For example, there are quite a few images that illustrate the Elizabethan style of clothing: their peculiar metal (orthopedic) corsets, farthingale supported skirts, and wide collar ruffs. 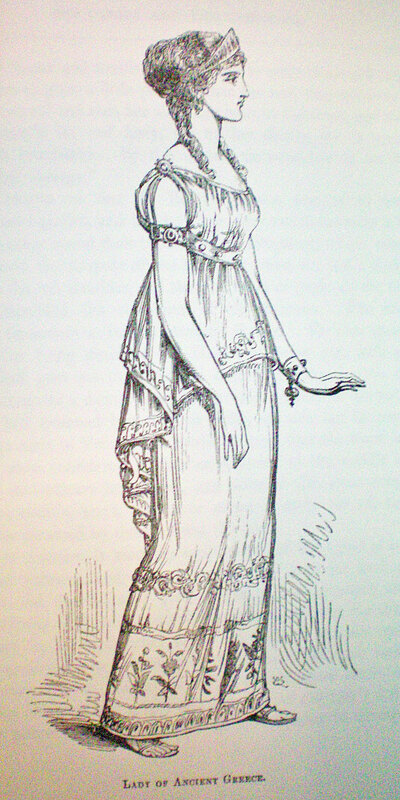 But once it reaches a discussion of Victorian styles, it goes a full 34 pages without any illustrations whatsoever! 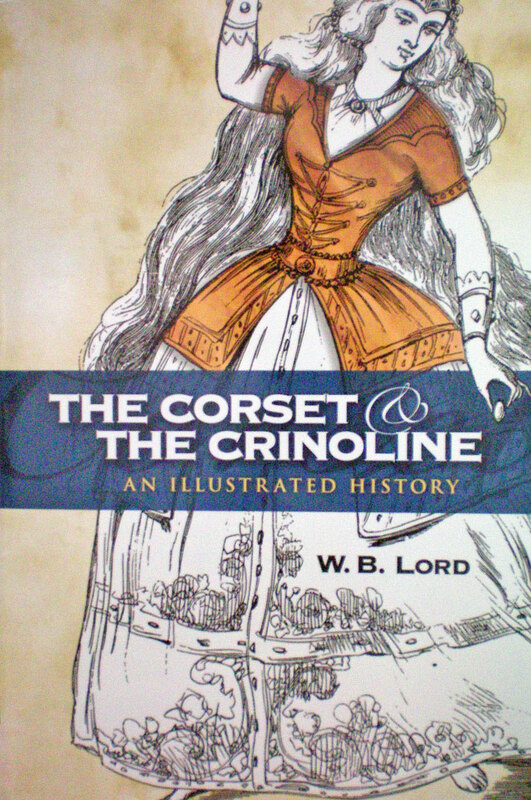 This is an absorbing look into how the Victorians viewed the history of corsets and crinolines. 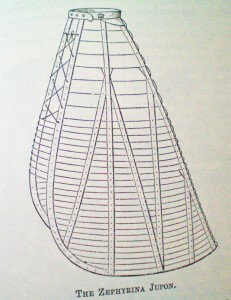 It was written just after the peak of the crinoline craze and thus offers a unique and valuable viewpoint. I give this book four out of five stars, for the simple reason that it was lacking in illustrations. It is, however, quite an interesting and educational book. Highly recommended! Have you read this book? 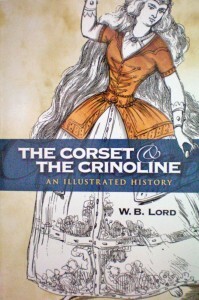 What did you find most interesting about the history of corsets and crinolines? This entry was posted in Thursday's Book Reviews and tagged Book Review, Corsets, Thursday, Victorian. Bookmark the permalink.